As some of you have probably figured out by now, I love drawing animals. They have so many organic shapes and each species is so unique to draw. Above is a work-in-progress of a Humpback Whale. He still has a long way to go before he’s finished. Until I have the freedom to spend an entire day on him, I guess I will complete him bit by bit. 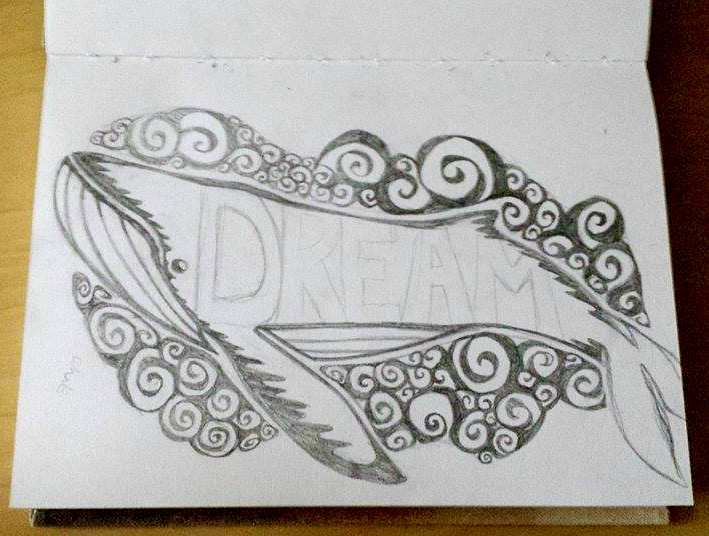 I also need to decide whether or not to keep “DREAM” written on him. What do you guys think? Anyways, thanks everyone for stopping by, and hope you all have a great weekend ahead of you!